Twinkling 3 Carat Total Weight CZ Necklace & Earrings Only $8 Shipped! 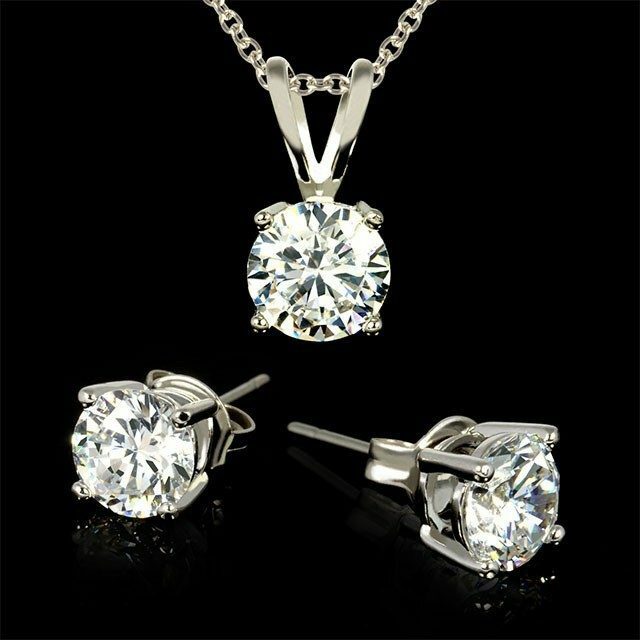 You are here: Home / Great Deals / Twinkling 3 Carat Total Weight CZ Necklace & Earrings Only $8 Shipped! Make your world sparkle and shimmer with this cubic zirconia necklace and earring set! This Twinkling 3 Carat Total Weight CZ Necklace & Earrings is Only $6 + $2 Shipping! The adorable petite pendant and earrings have a solitaire design for a traditional look that is unbeatable!